Alfa Romeo Giulia Performance, Engine, Ride, Handling | What Car? 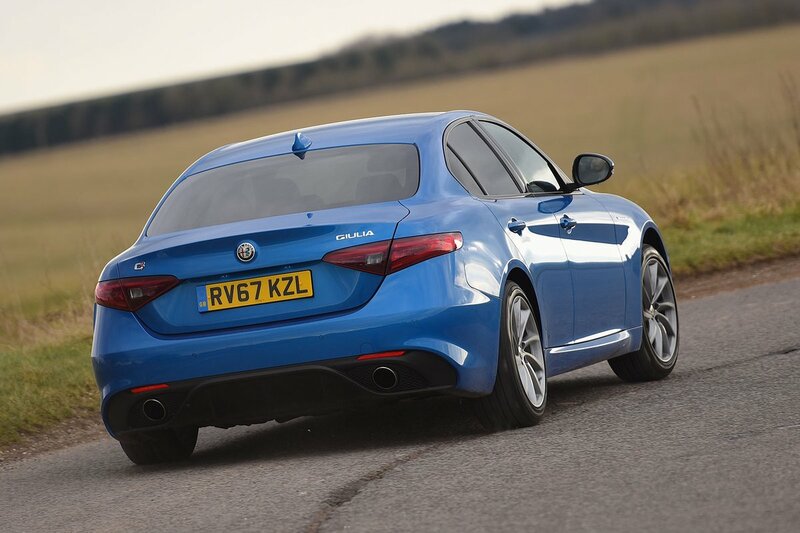 The Giulia combines a smooth, fluent ride with nicely balanced handling – the latter really distinguishing it from its less involving rivals such as the Audi A4. Lower-end versions of the Giulia come on 16 and 17in alloy wheels, while the top-of-the-range Quadrifoglio version rides on 19in wheels, stiffer springs and adaptive dampers. 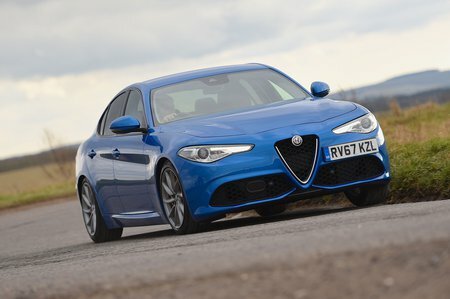 Although there’s plenty of difference in the driving experiences of entry-level and top-of-the-line models, even the 2.2-litre diesel has swift handling responses and is fun through corners, and the Giulia’s steering is quick and direct on all models, delivering good straight-line stability. The diesel engines are a little coarse, but they do quieten down at a cruise and pull quite hard through the middle of the rev range, where the eight-speed automatic gearbox keeps the engine most of the time. 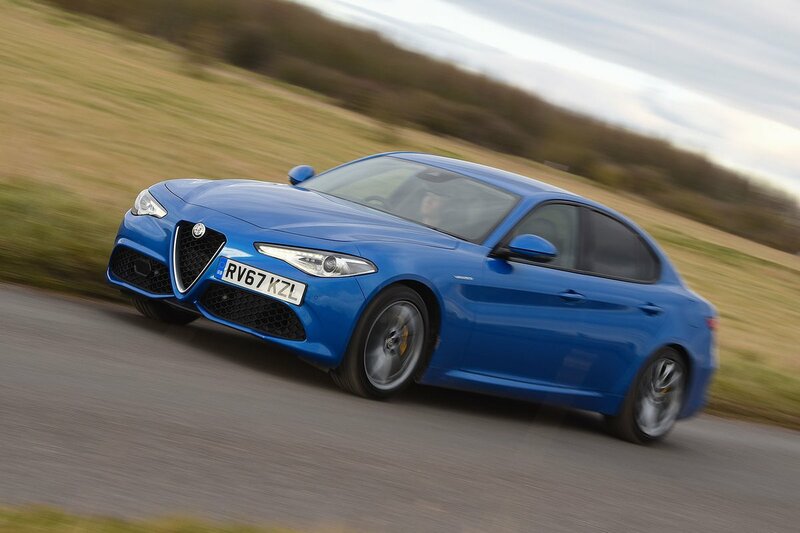 Alfa’s 2.0-litre turbo petrol engine is more potent, sounds better and revs more smoothly. Its more willing and athletic repertoire is a better match for the car’s handling than the diesel-engined versions. In fact, it’s more fun to drive quickly than its rivals from BMW, Mercedes and Audi, even if it can’t quite match the dynamic prowess of Jaguar’s XE. The 280 Veloce is noticeably faster than the standard petrol option, but it doesn’t turn the Giulia into a snarling sports car. The Quadrifoglio version competes with other super-saloons such as the BMW M3, and it has the taut and adjustable handling character of a true sporting great, although brake pedal feel could have been better in the example we drove. The Alfa’s V6 engine has plenty of character, but it doesn’t feel quite as strong in the real world as that 503bhp suggests. Over short sprints, though, it’s guaranteed to put a smile on your face.